This post is a continuation of yesterday’s post Numbers & Operations in Base 10. 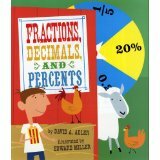 Fractions are a part of this number system- with every decimal place indicating a multiple of a negative power of 10. 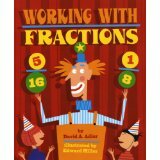 What is included in the standard Numbers & Operations- Fractions? Simply put this is everything fractions- with the degree of difficulty being dependent on the grade level of the student. 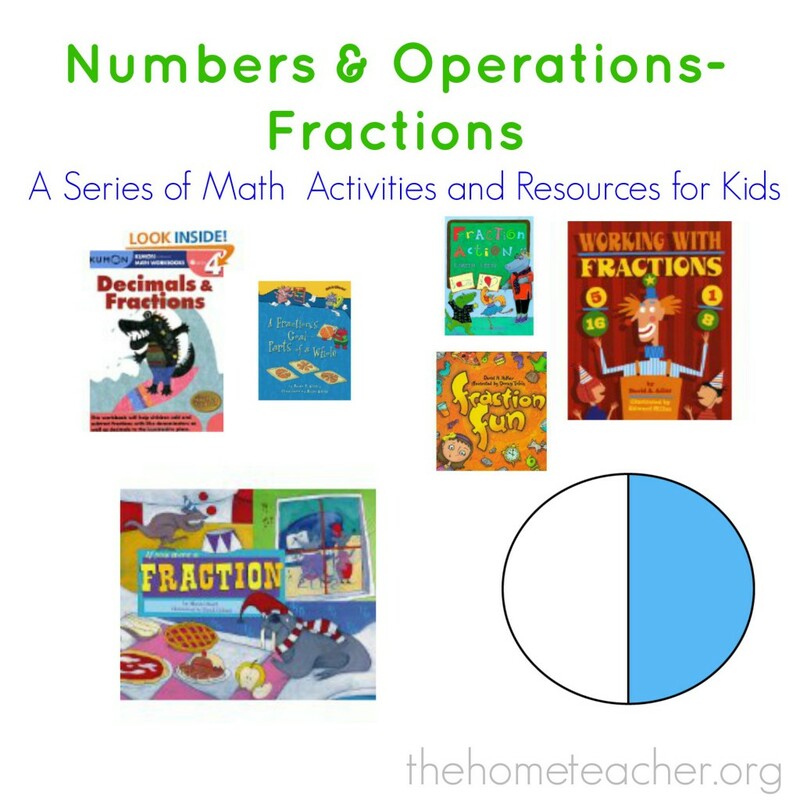 Some examples of these skills include performing operations (addition, subtraction, multiplication, division) using fractions, comparing fractions, and understanding the decimal system. 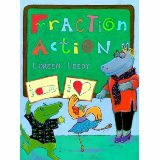 What resources are available to help my child learn fractions? Just as in our previous posts, there are TONS of resources available! Of course in the interest of time I won’t share everything I have found, but this is a good start. 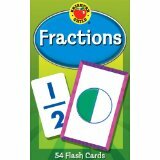 There are some great apps for the android users that include The Digits: Fractions Blast, Equivalent Fractions, and Motion Math: Fractions. 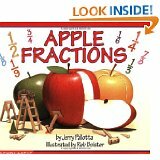 In the iTunes store you will find fraction apps like Pizza Fractions, The Digits: Fraction Blast, Jungle Fractions, Decimals!! !, and Motion Math. Again there are so many more apps available- this is just a small sampling of what you can download to help your child learn and better understand fractions. Here is a list of Numbers & Operations- Fractions literature that you can read with your child. 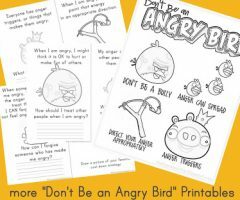 Here is a list of some teacher resources. Manipulatives are important in helping your child understand math concepts, including fractions. 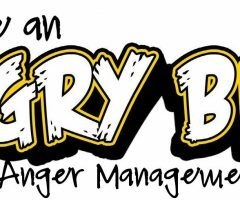 I didn’t include any in this list because you can use everyday items such as pizza, apples, straws, paper… anything you can cut in pieces! 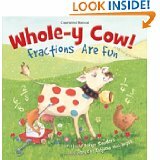 Using items your child is exposed to on a frequent basis will help them better relate to using fractions in the real world. 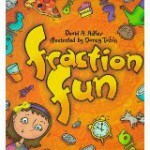 I have never written an entire post about activities I have done with my daughter using fractions. However, in our post 20 Activities With Sidewalk Chalk, I came up with the idea to draw several shapes and have your kiddo draw a line to cut the shapes in half/thirds/fourths/etc. 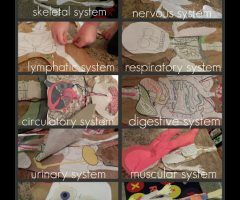 Make sure you talk about fair shares (how each section should be the same size) when they are drawing the lines. Naturally Educational shares an idea using paper plates in her post Pizza Math. 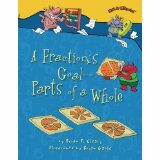 I love how she is having her little ones learn about the numerator and denominator as well as comparing fractions. Peakle Pie combined frogs, crafts, and fractions in her post Fractions Fun with Origami Frogs. 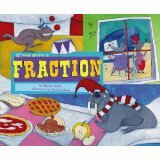 I have never thought of fractions this way before- it is so creative and I know my animal loving daughter could easily consider this math lesson as more of a game! 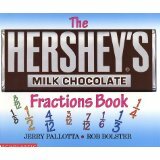 Of course there are TONS more resources available with fractions. 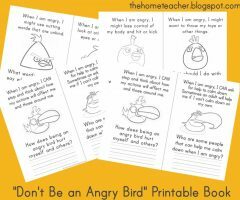 I would love to hear about what you have done with your kiddos at home to help them understand this concept better! 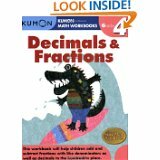 This entry was posted in fractions, math and tagged fractions, learningtime, math literature, numbers on January 9, 2014 by ktoponce.